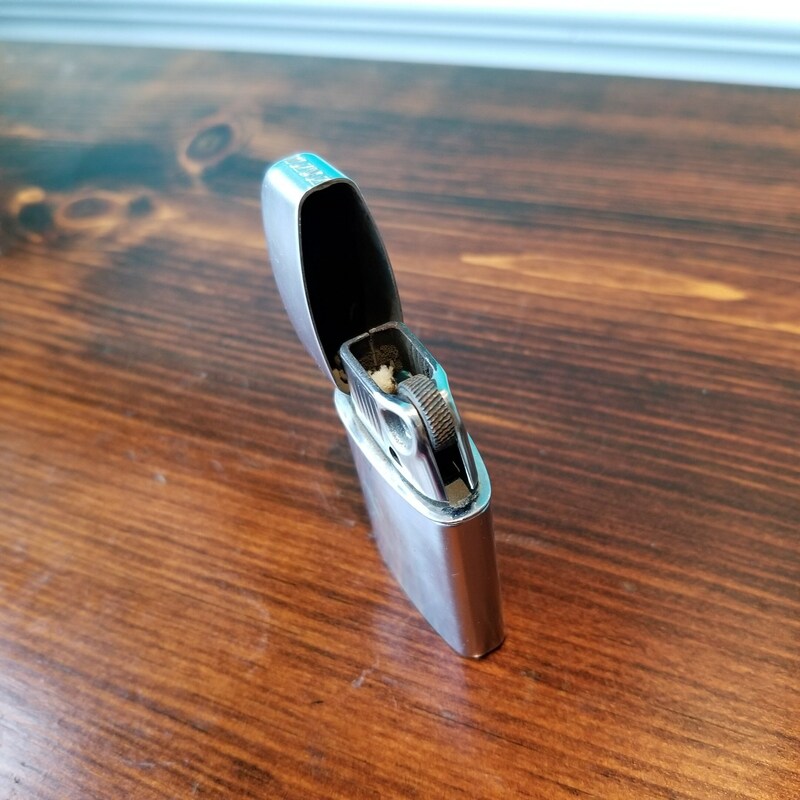 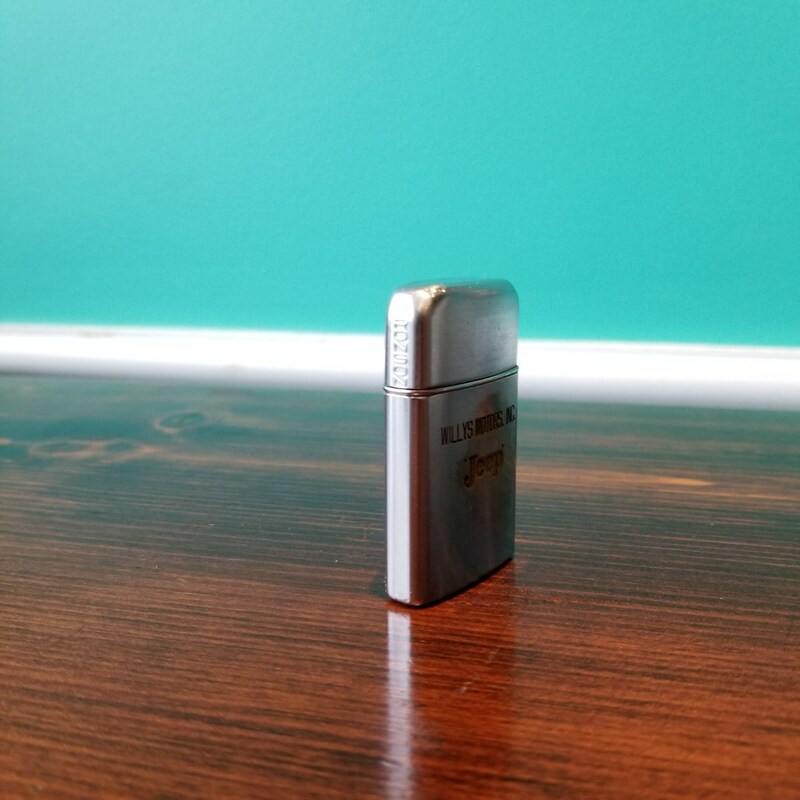 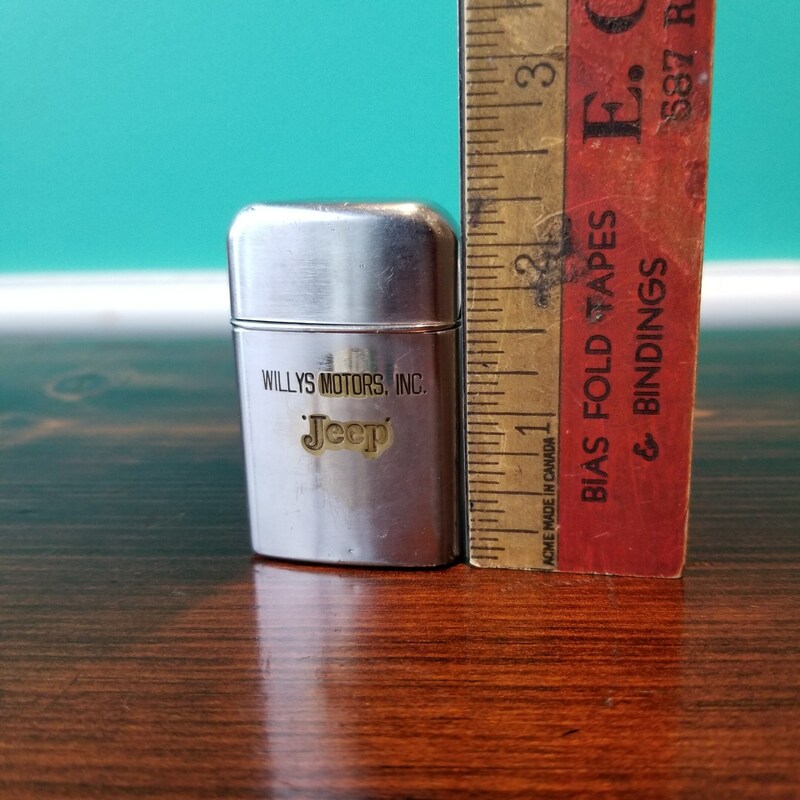 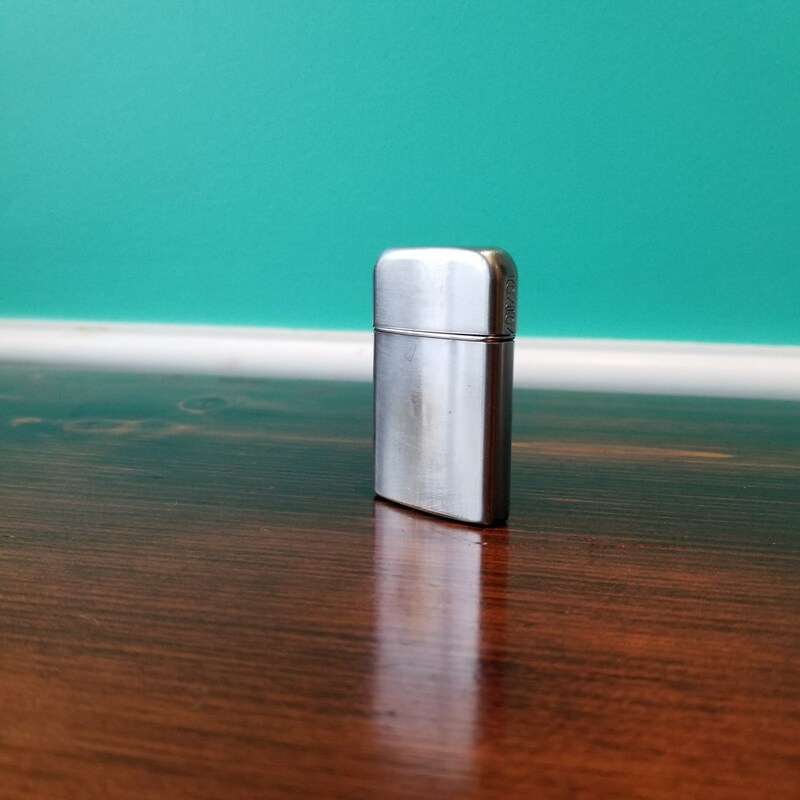 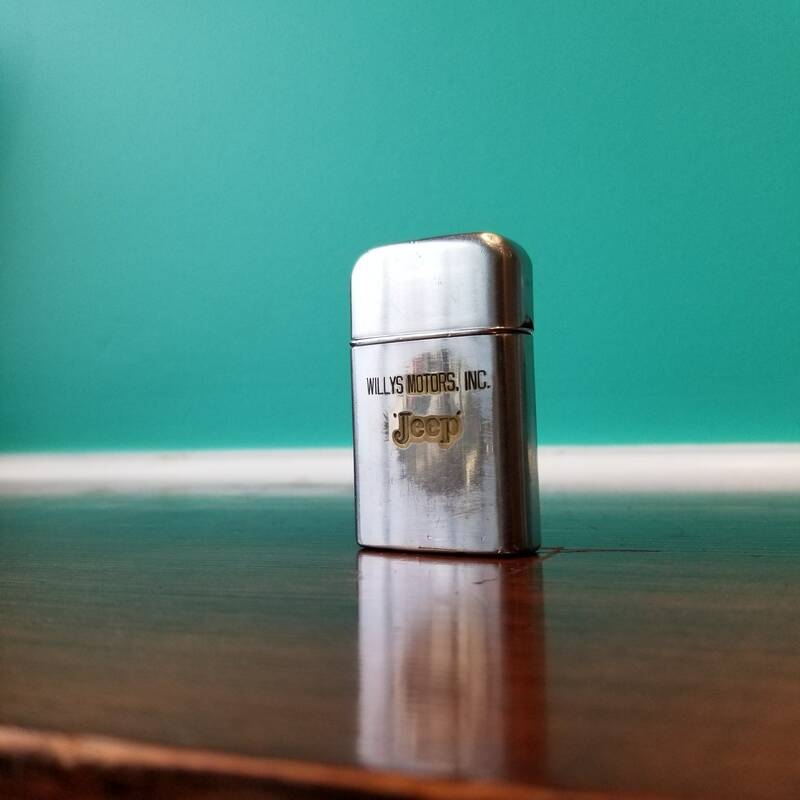 This 1950's Rogers brand lighter made in Woodbridge, New Jersey is an advertising piece one may have received with the purchase of their vehicle. 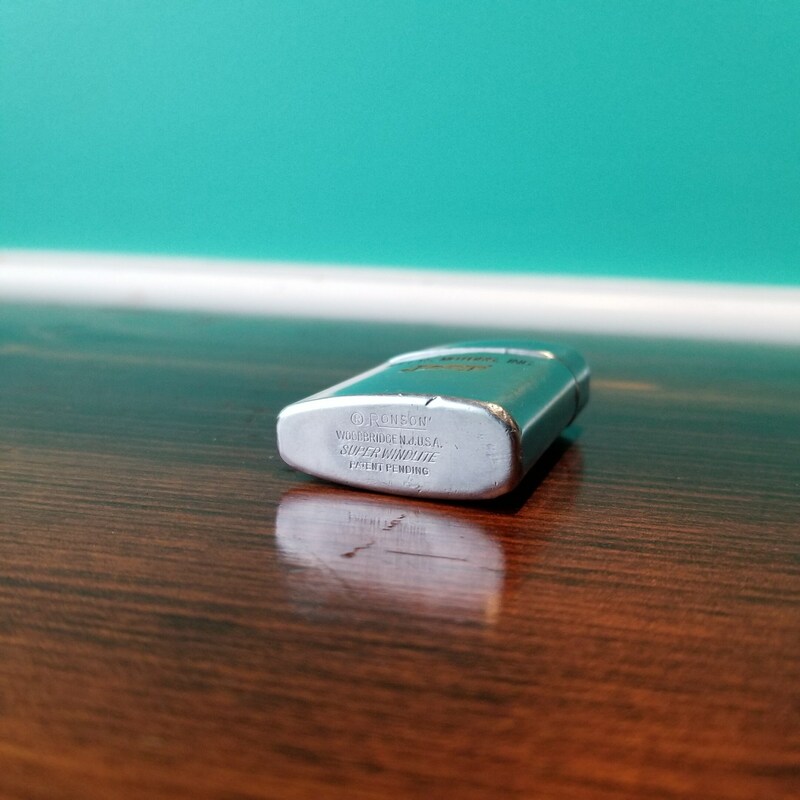 Chrome plated brass with some wear on the front and the usual slight scratches and scuffs that come with age. 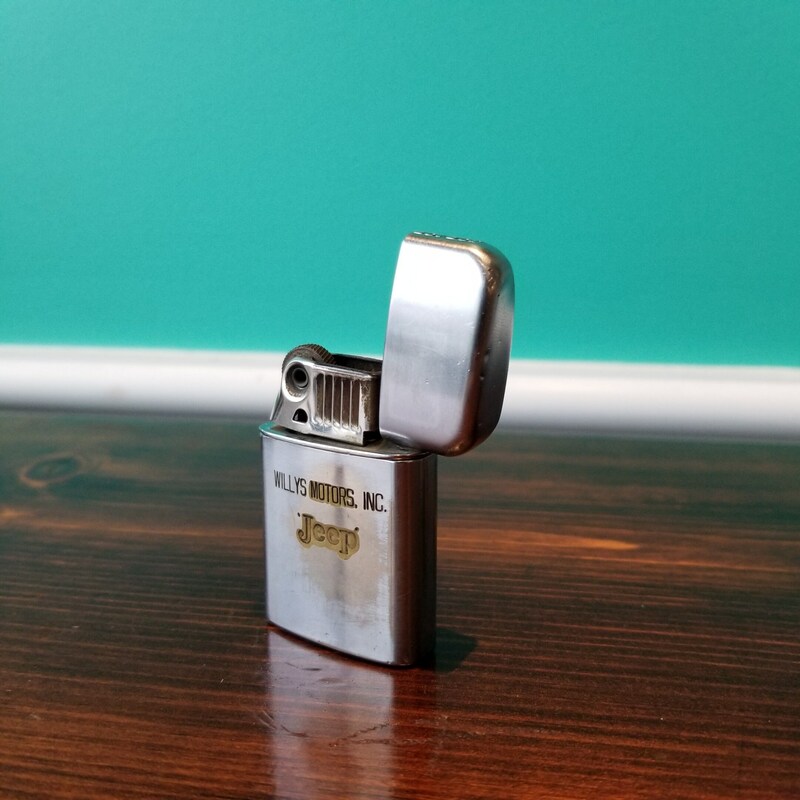 In working condition with fresh wick and flint. 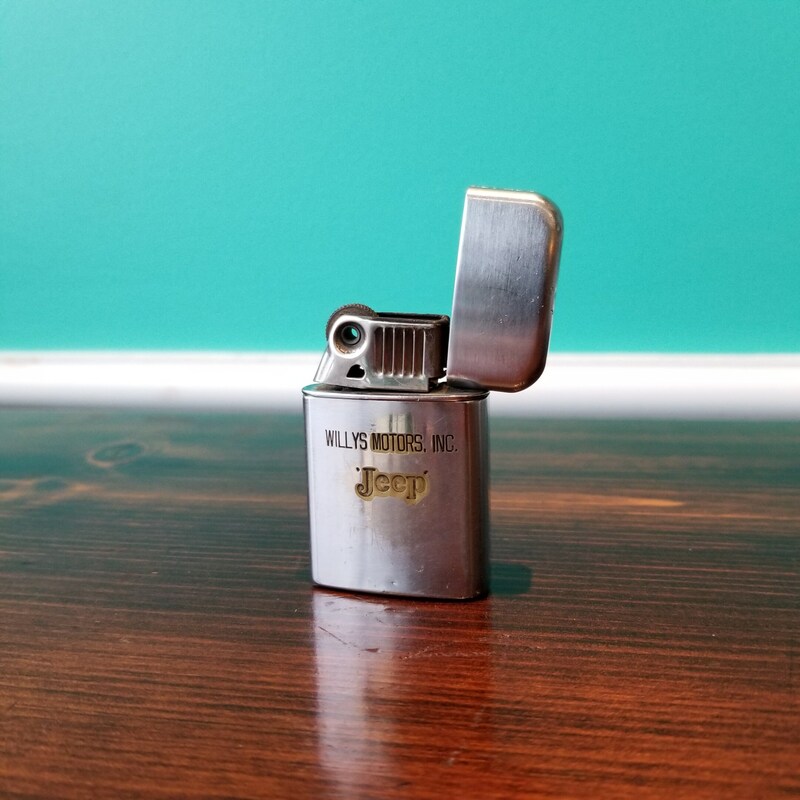 Ready to use, just add your own lighter fluid.